Also known as a barrel mole trap, this is a very traditional solution to a common garden problem. 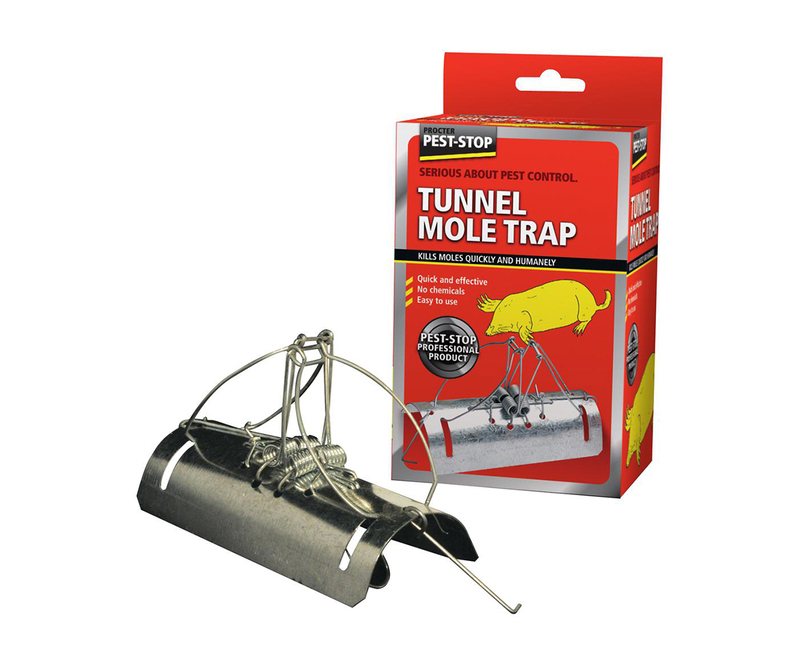 The trap is set, then placed in the mole run, and is triggered when the mole passes through it, killing it instantly. * Manufactured from galvanized steel to prevent corrosion. * Dual setting means the trap is triggered whichever direction the mole enters from. * As used by professional mole trappers.